We haven’t heard from iRiver in a while, but this doesn’t mean the company has been sitting on their behinds for the past few months. In fact, they’re gearing up for the release of the iRiver Story HD, a snazzy new reader due this second quarter. Currently billed as “the World’s highest resolution 6-inch e-reader,” the Story HD goes one step further than its predecessor from last year thanks to improved page turns and an e-paper display from Korean manufacturing giant LG. 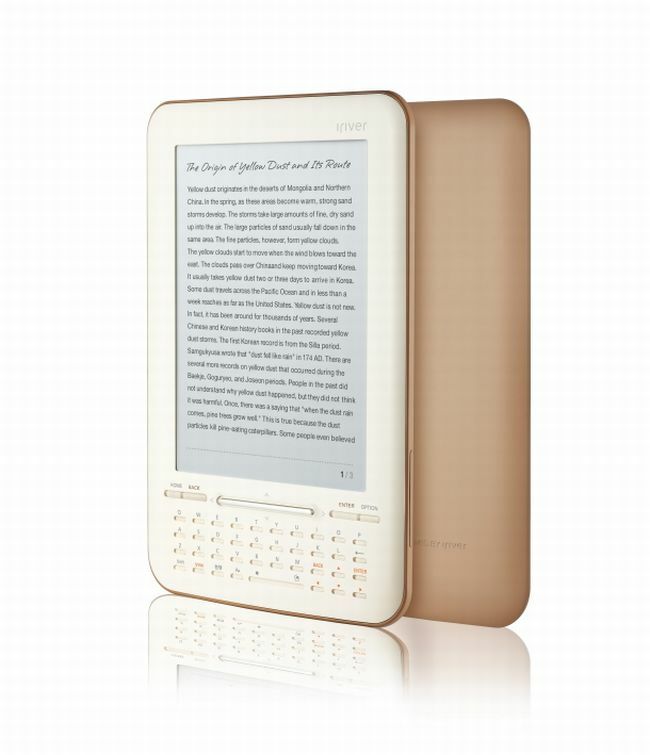 The display offers a resolution of 768×1024 pixels and can support PDF/ePub formats using DRM. The partnership between iRiver and LG really was the catalyst for this new e-reader, which has built in WiFi, up to three weeks of battery life, and a QWERTY keypad. The faster page turns that supposedly makes the Story HD better than the competition is possible thanks to a Freescale Semiconductor processor using Cortex technology. No other details of the Story HD have been leaked, but expect an update on this once reviews start pouring out of CES, where it’s scheduled to make an appearance in the coming days. Until then, hang in there. Oh, and a word on pricing and official release: mum. Yes, mum’s the word. TBA, ladies and gentlemen. TBA.